For a party that will be the talk of the playground! TURN YOUR HOME OR LOCAL HALL INTO A PARTY LAB! With over 300 fizz-popping parties under our belts, we know a thing or two about making a party go with a bang! The focus is on fun with lots of hands on experimenting for the birthday child and all of their guests. Be wowed by dramatic demonstrations and get stuck into some very cool chemistry. From a few friends gathered around the dining table to an invite-the-whole-class extravaganza in a hired hall, we have the package for you. We even offer specially themed Potty Potions parties for Harry Potter fans! But don’t just take our word for it…check out our reviews on Facebook. WHAT AGES ARE THE PARTIES FOR? WHERE CAN I HOLD THE PARTY? WHAT WILL HAPPEN AT MY PARTY? 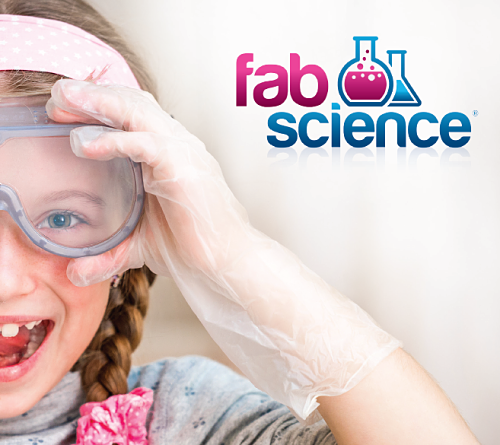 Your Fab Scientist will lead an hour of exciting experimenting for the birthday child and their guests. We provide all fun, excitement, experiments, equipment and safety goggles. We even take away the washing up. We don’t do sandwiches and cake though, sorry! We can even supply science themed party bags if you like (£4.50 each). We generally recommend Fab Science parties for 6th birthdays upwards. We can do 5th birthdays too but usually only in spring and summer. Once children are used to being in Reception, they will get more out of the hands on activities. All parties are tailored to the age range attending and there is no upper age limit, we have had a couple of teenager birthdays and could even do a grown-up party! Any venue with access to electricity and a sink can be a Fab Science Party Lab. Your home, the village hall, the Scout Hut … you book it and we will be there! We just need room for a table (or we can use yours) and space for the kids to gather round. If you are booking a venue, we recommend choosing one with hard floors and easy parking. We do like to get outside for a messy explosion at the end of a party but this can just be the car park. If you’re near Bishop’s Stortford, you can find a list of suitable halls here. We’ll be adding links for other areas soon. While we’re waiting for everyone to arrive, you can keep busy with some Fab Science activity sheets and sort out name badges so we know who’s who. Once everyone is ready, we’ll start experimenting. The exact activities will depend on which theme you have chosen, how much space we have and the age-range at the party. There will be a mix of demonstrations, whole-group experiments and team activities, with lots of opportunity for everyone to get stuck in. Fab Scientists love answering your questions and want to make you as excited about science as they are! All of our experiments are specifically chosen to be kid-safe. 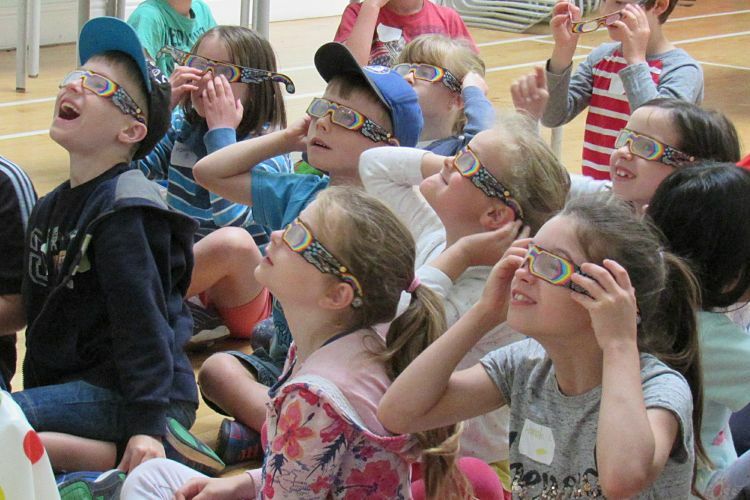 We use child-friendly materials and have safety goggles for volcanic ‘eruptions’ etc. While we do not use anything toxic, we do make sure that children know that they mustn’t eat anything in the ‘lab’. Our party leaders are DBS checked and we have insurance for £5million (never used!). Yes! In fact, there will need to be at least one responsible adult present. Our Fab Scientists are great at engaging, encouraging and entertaining kids but do not take overall responsibility for their care at parties. Our parties start at £195. This is for a standard, 1 hour party for up to 15 children. Larger parties are run by two Fab Scientists and cost an extra £50. We are based in Bishop’s Stortford and do charge mileage for parties more than 15 miles away. We can also offer optional extras such as dry ice demonstrations (so cool! ), rocket launches, extended time and even science-themed party bags. Get in touch for a quote today. Please get in touch to check availability. Let us know your preferred date(s), the age of the birthday child and whereabouts the party will be and we’ll get right back to you with available dates. We do take bookings up to a year ahead (some people are very organised!) but usually a couple of months is fine. We sometimes have last minute slots available, especially for weekday, after school parties. If you decide to go ahead, we will need a deposit of £50 to secure the date. The balance is not due until a week before the party. If you are not sure of numbers or optional extras when booking, these can all be confirmed a week or two before.